Eging has been picking up popularity in Singapore for quite some time now but it probably has already reached the peak although some tackles shops in Singapore are bringing in hybrid squid jig lures which have treble hooks on them. 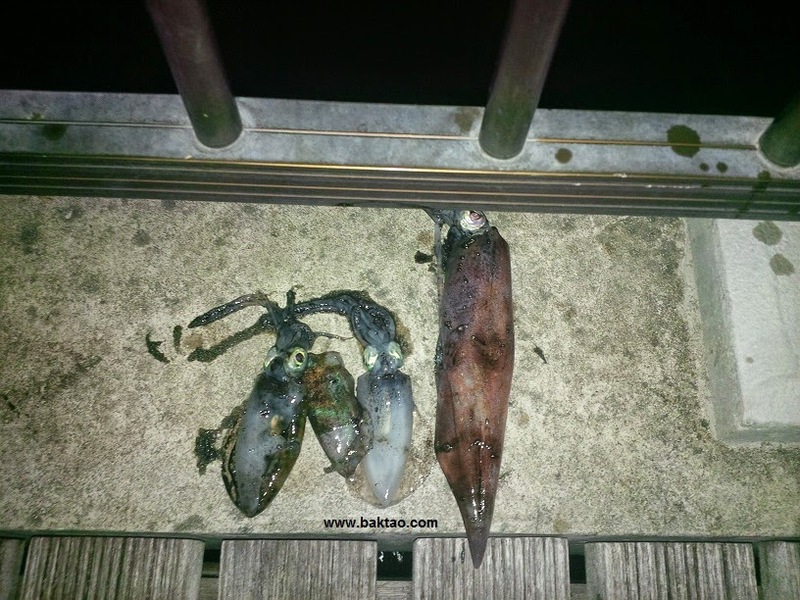 Eging hot spots are an open secret in Singapore since squid habitats and suitable eging spots are easily identified. 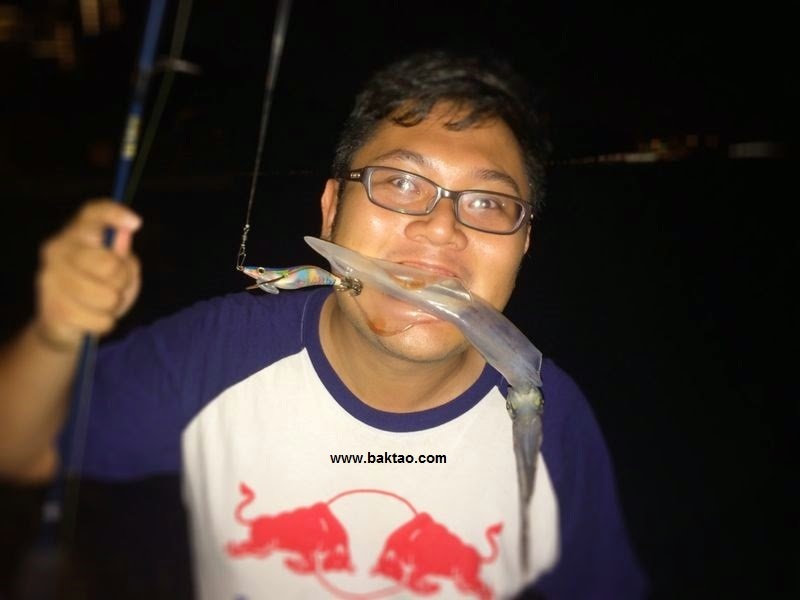 Squids are also less valued than fishes and chances are, you will always have ample squid to catch! The new berlayer walk bridge was interesting and there was another jetty near to the ramp. It was illegal to fish at this jetty though so we fished under the jetty at the breakers. Fishing on the breakers meant that you have to keep casting, keep moving to search for good patches of squid because squid often came in schools. Alas, it was not yet the peak season and the squids were all solo heroes... but surprisingly, the Yamashita Egi-oh Purple Pink scored an arrowhead! 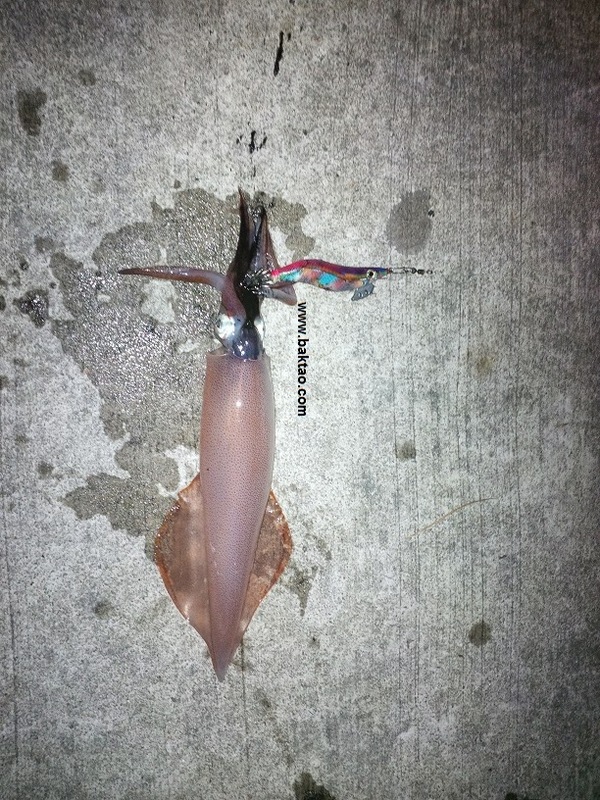 I loved this squid jig as it was a two contrast egi jig with dark purple and pink... I've always believed that precise colours don't matter for eging. It's more of whether the jig is "bright" or "dull"... I would always use bright colours for murky water, dull colours for clear water. If squid are shy, I would change to dull colours and employ a longer pause in between strokes. 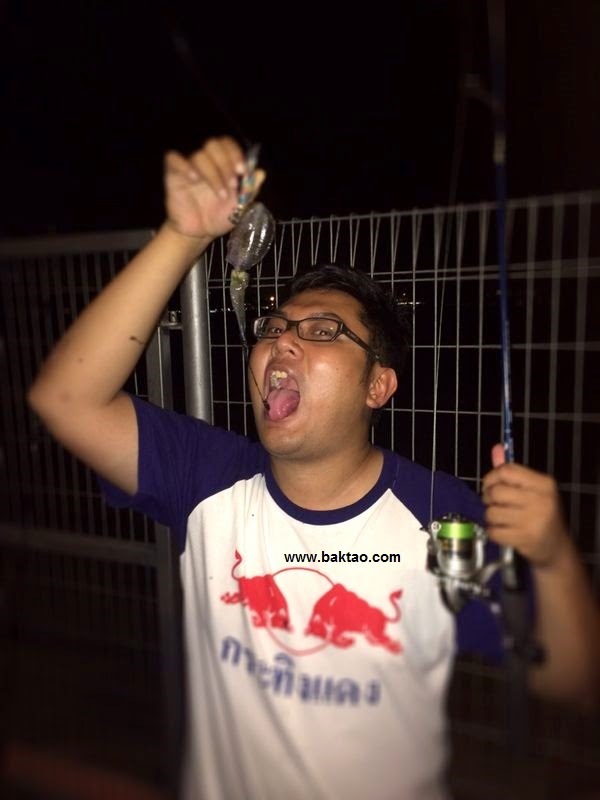 Anyway, here's the beast in me with the squids I caught! First one was an arrowhead! Total catch. Well, one of the heads were used for fishing. What could be better? Read my eging guide here to better equip yourself in the war against squids! 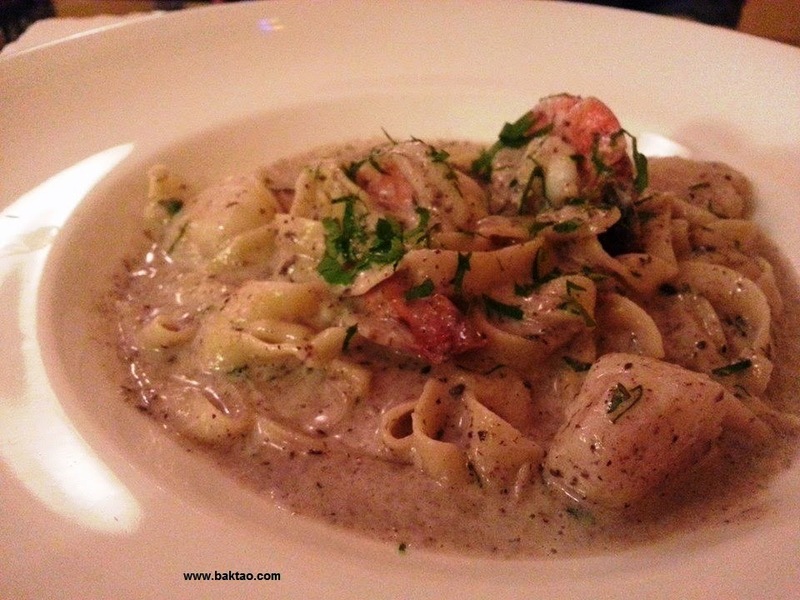 Cacio e Pepe Review - Yummy Italian Cuisine in the West! Quite some time ago, I briefly posted that I would try to incorporate more lifestyle posts in my blog so as to attract different readership and to spice things up with non fish posts. Well, here's one which I felt must go into the blog since it is a rare hidden gem tucked away in a corner of the west! 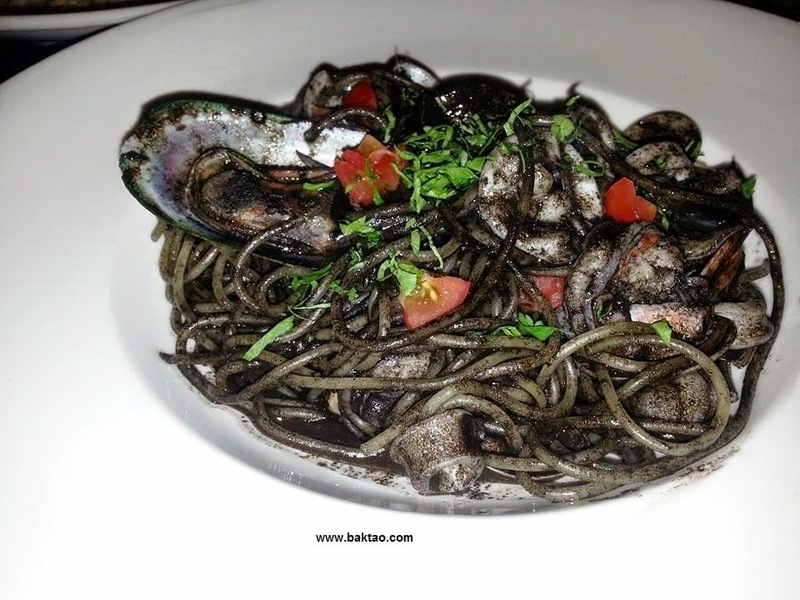 Now, I'm no Italian connoisseur so take my review with a pinch as I am more ah beng Italian than true blue Italian! 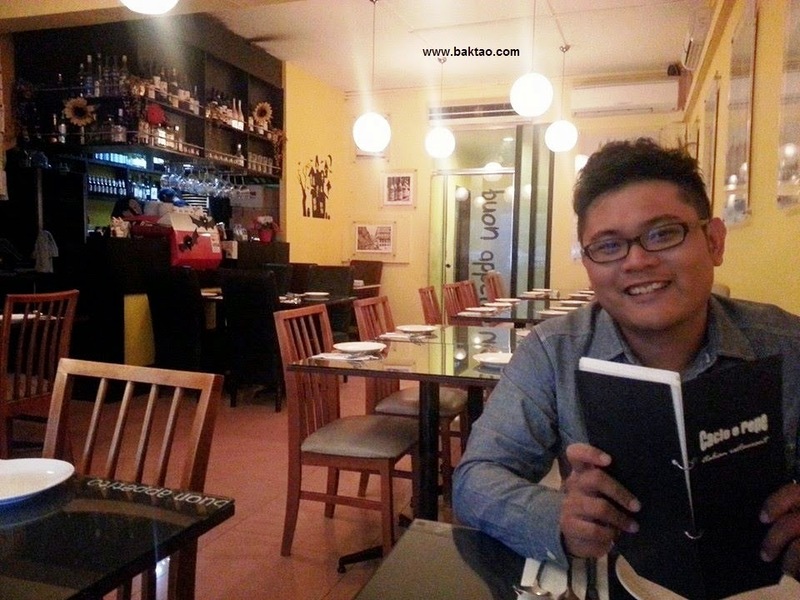 Some brief history of Cacio E Pepe Italian restaurant... It opened in the East quite some time back and recently has moved to Bukit Timah. I somehow stumbled upon some reviews of the place and was intrigued by the reviews I saw. They weren't your usual reviews but users used the words "Hidden gem", "rare find" etc... That was something unusually delightful so I had to check it out! When I reached the place, the whole setting seemed totally homey and dull in the good kind of way. 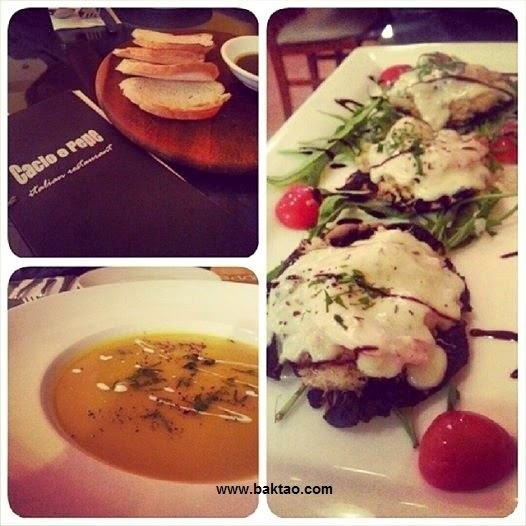 The restaurant menu, décor, ambience seemed to slow time down and transform our dinner into an experience. Good eating places these days require a fair bit of booking, shoving, q-ing and it simply turns the dinner mood into a quick, rushed affair. So you could see why I was absolutely pleased! I was tucked into my table and given quaint but simple menus to order from. The server announced some specials for the day which was good as it shows they do customize their dishes so it won't be the same old stuff everyday! Time slowed down and we can finally enjoy dinner as a slow process! Since it was my first time there, I decided to go with what was recommended by the reviews (although we would later peek at what others were having and be sort of tempted to try that too). The customer service here was fantastic. I found it very pleasant that the server managed to remember my name throughout dinner, topped up our water whenever it was low and was always with a smile! I ordered a starter, a soup of the day (Pumpkin), 2 + 1 pastas and 2 desserts! 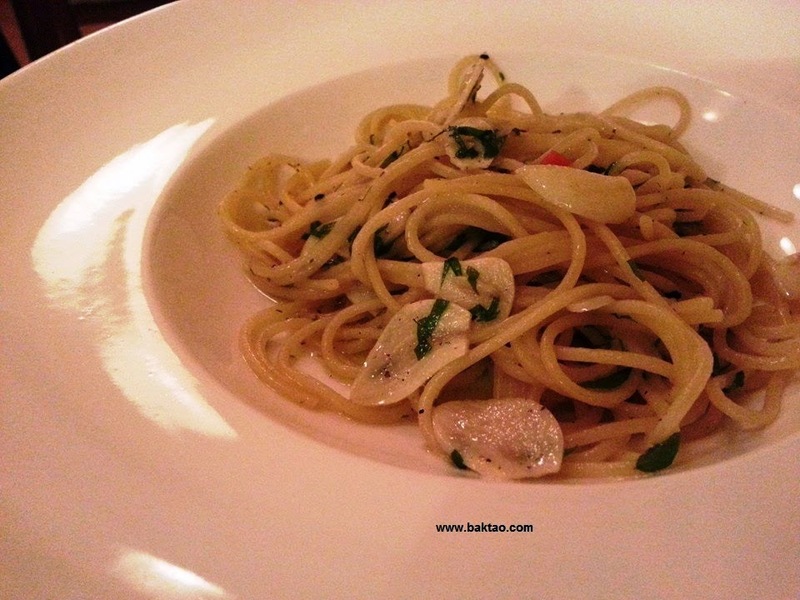 Now, the 2 + 1 pasta was surprising because the loves Aglio Olio and my request for a "mini" portion of Aglio Olio was accepted by the server! Now how's that for customer service? Complimentary bread was a good touch to the starters because as diners, we would sometimes be too famished, something light to munch on would be nice! You know... at Chinese restaurants when they give you some nuts? After our food was the dessert and I couldn't decide again! 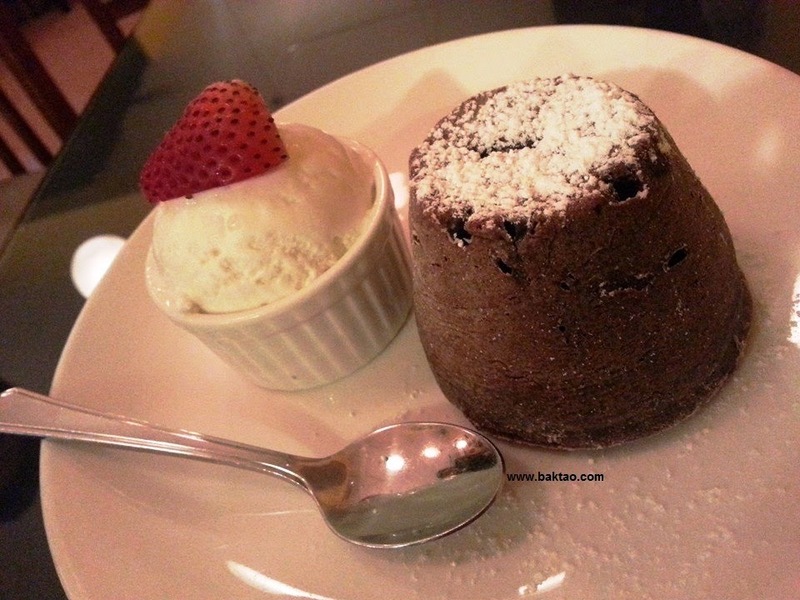 I chose the lava cake with macadamia nuts and had the hard task of choosing Panna Cotta or Crème Brule. 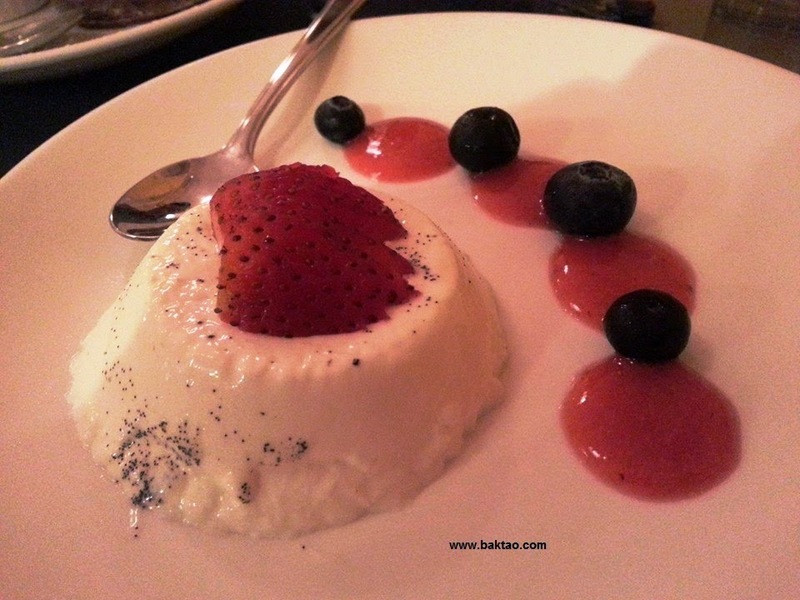 Well, I still couldn't decide and I asked the server for a recommendation and her reply was... "You have to try an Italian dessert when you come to an Italian restaurant!". Pepper/salt upon request was grinded by server on the spot and into our soups! No more troublesome hand shaking actions with stuck salt/pepper and uncooked rice! Blah! Absolutely considerate that our starters came together, main courses came together, desserts came together. No more waiting for your friend to eat and being a total loser while you wait! Anyway, I've come to the end of my review. Apologies for the not so impressive pictures but I didn't bring my DSLR and had to make do with handphone cameras! Fishing for Storms at Desaru Beach! It was going to be such a good day's fishing at Desaru. We were going to hit the teng frenzy, cobia frenzy, GT frenzy, grouper frenzy and all sorts of frenzies! Fishing at Desaru always proved to be exciting whether we were jigging, casting pintails or simply baiting... little did we know that a mutant from X-Men came to spoil to show! Yes, it was no other than Storm! 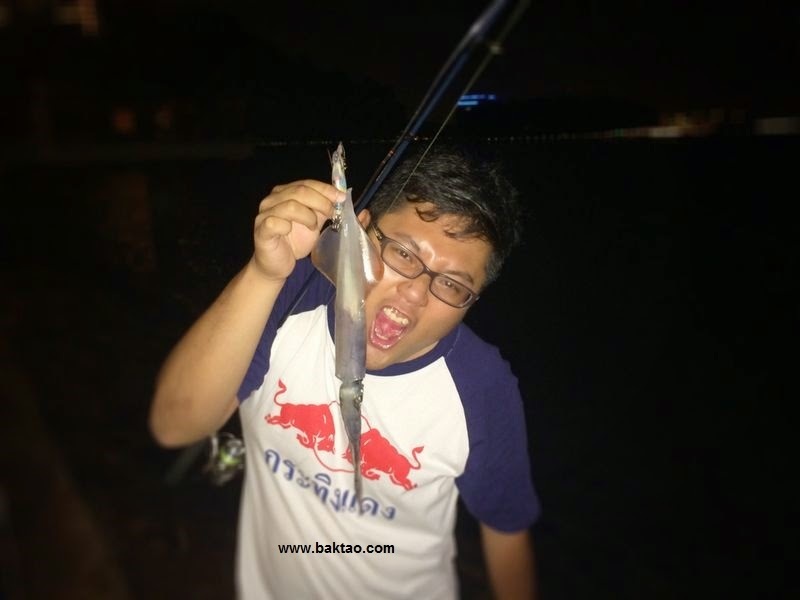 So we were fishing for storms at Desaru... no fishes, no squids, no bikini babes.... Just men and their bitchy screams.... enjoy!